Situated about approximately 200km from the city center of Ha Long, Tra Co is a unique and attractive cultural destination of Quang Ninh Province that attracts a lot of domestic and foreign tourists each year, in which, Tra Co Beach. Located in Quang Ninh Province, about 9km from Mong Cai Town and Mong Cai Frontier, Tra Co is one of the most beautiful beaches in Vietnam. With the wild and peaceful beauty, Tra Co is considered the most romantic beach in Vietnam with the smooth white sandbank and blue water all year round. Coming here, you will find peaceful and romantic moments for your soul with sun and cloud. 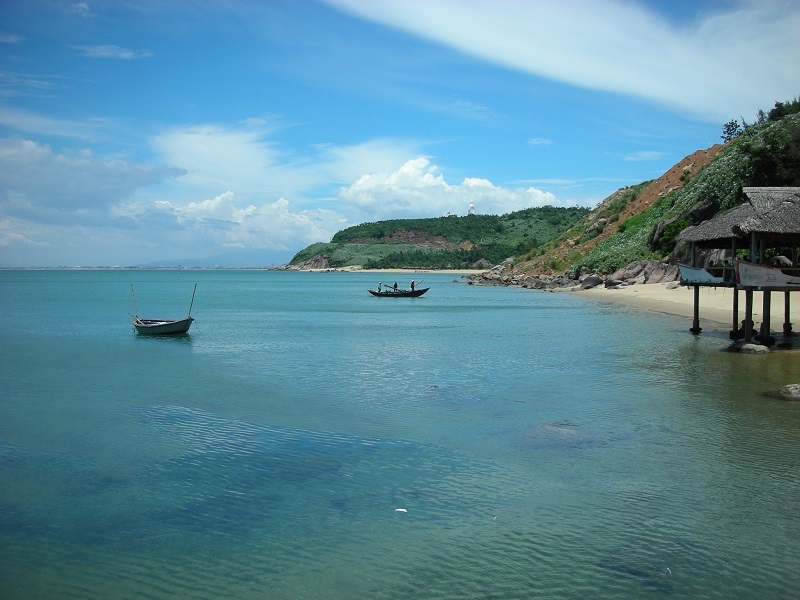 Unlike any beaches in Ha Long, Do Son or other beaches, Tra Co Beach is in combination between the beauty of the Middle and the North of Viet Nam. That creates a strange and harmony beauty of this beach. Located far away from the city, port and industrial zones, Tra Co Beach has the cool climate and quiet space. Coming here, you will you avoid the noise of the city and immerse yourself in a rustic life here. Tourists coming here not only get opportunities to swim but also join many interesting sport activities on the beach such as playing soccer, volleyball. Especially, you can take a stroll on the roads along the beach to enjoy the fresh air of the sea in the early morning or afternoon. You will feel more peaceful when hearing the sounds of bells in the church in combination with the waves. In addition, you also see by your eyes the simple daily life on the sea of fishermen here in the early morning. That makes Tra Co bring something unique and smooth in the eyes of any tourists coming here even once.